Excellent condition. Preferred package, very few of the solid green exterior with interior green accents. 1 owner. Low miles, 70k. All maintenance records with Burnsville Toyota. Not 1 issue with this awesome vehicle. Brand new upgrades. 3" Rough Country lift professionally installed. XD Series Aluminum Rims. New 33" tires. New Premium running tubes. 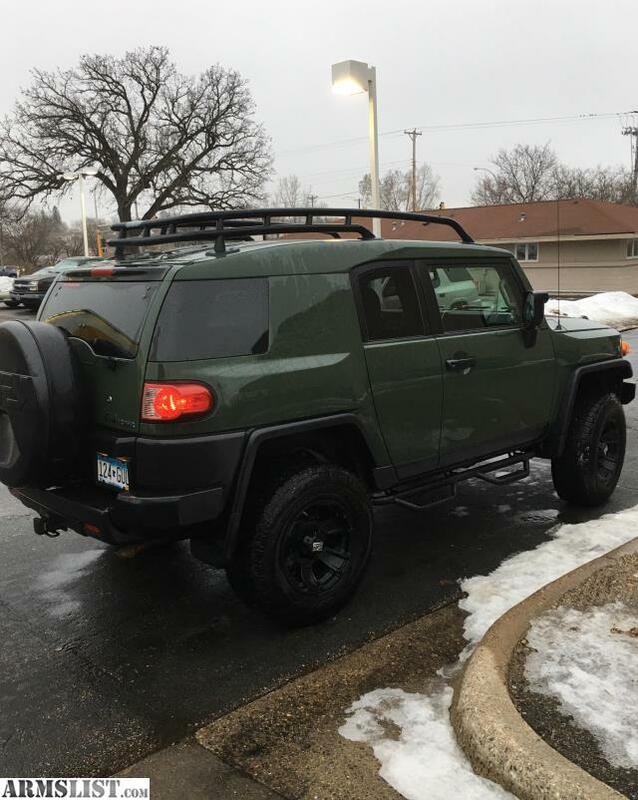 New Factory tow hitch and roof rack. JBL upgraded factory stereo with sub. Viper remote car starter. All weather mats. Clean title no accidents. Never taken off road. I have current car fax report. 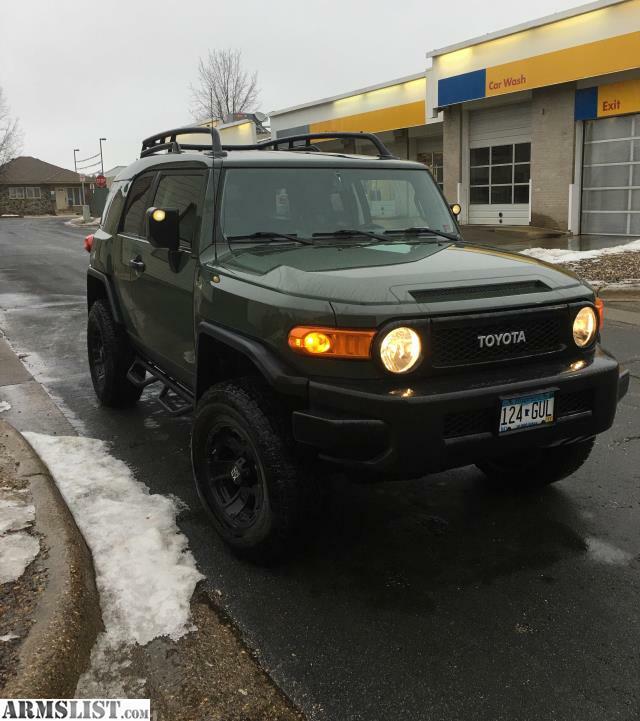 I also have a 2014 FJ Cruiser Ultimate Edition, 1 of last 2500 FJs made in retro solid blue color. TRD edition. 40k miles. This is already a collector vehicle. Pics available $34,000. Clean title no accidents. 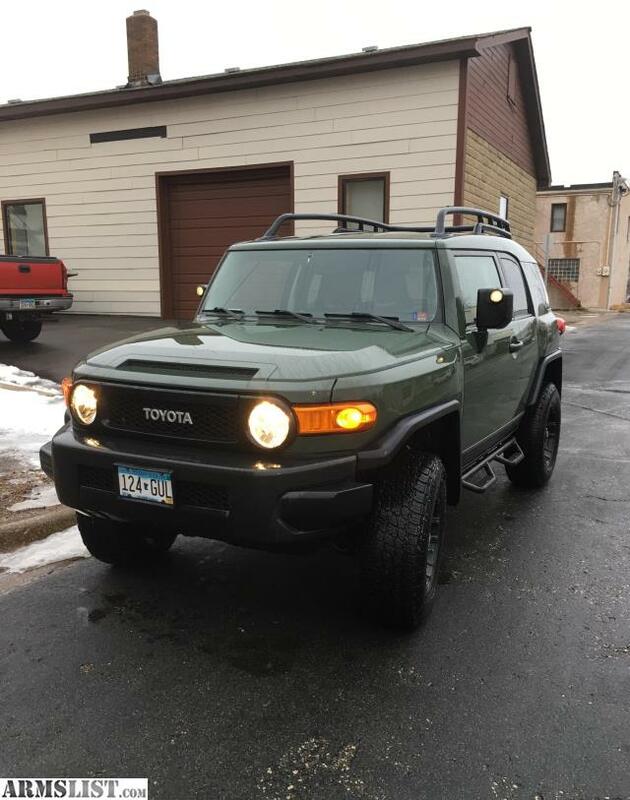 I am only selling 1 of my FJs. You have a choice of 2 of the best 4x4s available.